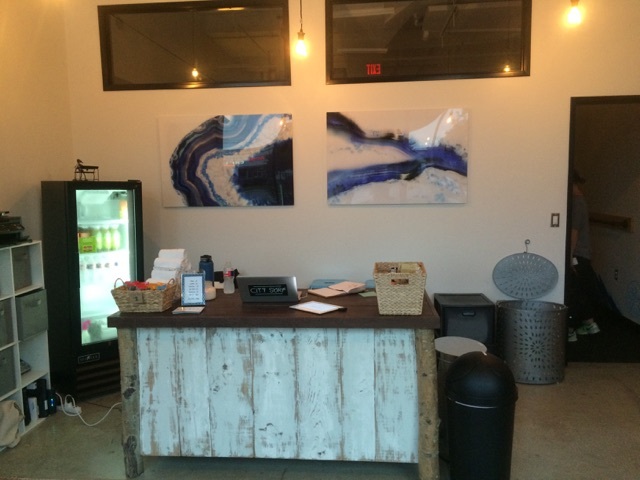 City Surf Fitness Austin Studio is located on South Lamar. They opened their doors in January 2015 and have been taking over the fitness game ever since. It’s a new style of workout that incorporates a surfboard suspended on 3 bosu balls that is specially crafted to give the concrete surfer an amazing core focused workout. 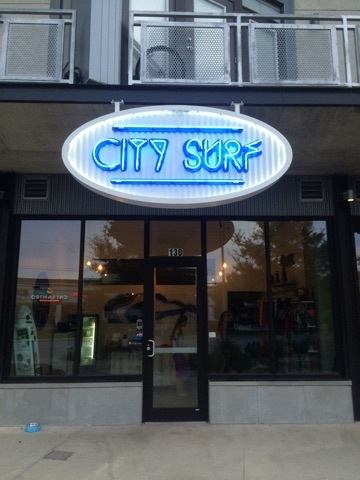 Since opening, City Surf fitness has proven to be one of the best places to get active in Austin and have fun doing it! Their workouts are always fun and innovative and keep you coming back for more! The staff is very friendly and welcoming! 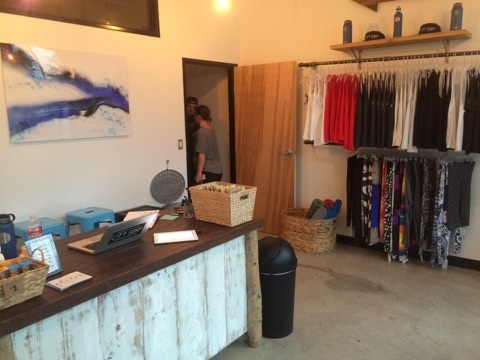 It is what you would expect from a surf-based facility which is chill vibes. Everyone who works there is passionate about what they do and it shows. Each class is full of positive energy and it really makes you feel like part of their surf family. 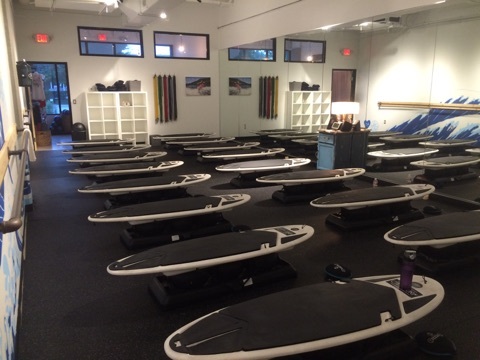 The studio offers 6 different kinds of classes (all incorporating the surfboard). Ranging from cardio blasters to yoga masters and everything in between. The class I took today, was the original “City Surf” class that consisted of cardio, strength, and balance. This specific class started with a short warmup which consisted of jumping jacks, high knees, mountain climbers, and “paddle outs.” Paddle outs are what you would expect to do if you were out on the water paddling away from shore to go catch a wave; they are a great way to get those back & shoulder muscles fired up and ready for your workout! The rest of the class consisted of exercises both on and off the board. To name a few, we did jump squats, press ups, surfer pushups, pop ups, and up&overs. Don’t be surprised if you fall off the board a few times, the first time I ever took one of their classes I fell off the board probably 3 times. Yes, sometimes it was a bit embarrassing but EVERYONE has done it whether they like to admit it or not. It’s a completely new environment and your body is using stabilizer muscles you didn’t even think you had. Even though you may fall, you should always get up and try again! 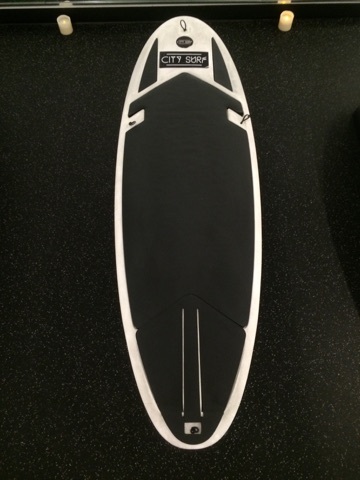 With every class you gain more muscle memory and become more comfortable on the board. I love being able to perform a move that I previously couldn’t do a few classes earlier. With every class you see an improvement and with that you gain confidence and keep wanting more. Another added perk I loved about this place was that after each class you lay down on the board and close your eyes to relax your body and prepare for the rest of your day. But unlike most facilities, the City Surf instructor places a small hand towel on your forehead that has been soaked in a mixture of water and lavender oil to rejuvenate the body. Ahh so peaceful 🙂 I absolutely love the smell of lavender oil and it’s something I look forward too after each class. This wasn’t my first time taking a class at City Surf, and it definitely will not be my last! I highly recommend this to anyone looking to gain great core stability and overall fitness because you will definitely work up a sweat! PRICE: $22 per class; ClassPass and StudioHop Accepted! ABOUT: City Surf builds upon components of natural human movement – foundation training, strength and cardiovascular training with high specification to core, balance, stability and muscle/body awareness. The Human body is the single greatest engineered system. It’s meant to function properly and City Surf will help you get there. TIP: They believe their physical pursuit is a part of our psychological, spiritual and life in the pursuit of happiness.